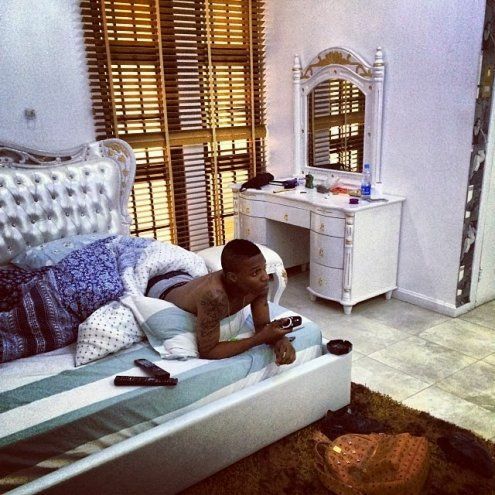 Wizkid Vs Davido: Whose House is Bigger and more Expensive? – Find out Here! We all know Wizkid and Davido are the biggest exports from Nigerian when we talk music and we know how rich these guys are. Whose house is bigger and more expensive? Wizkid buys mansion in Los Angeles – Superstar singer Ayo “Wizkid” Balogun has recently purchased a new mansion in Los Angeles, California. The Caro singer has been in the United States for a while now, and confirmed what he was up to there as he shared photos of his new house on his Instagram page. “Crib so big I got no neighbors! ? ?,” the singer captioned one of the photos. He captioned others “Living” and “#YoungPablo”, after Kanye West. DJ Maphorisa of South African group Uhuru, also spent some time at the house, and shared photos of the house on his Instagram. The house certainly is massive. Davido is building another Lagos home, this time, a mansion AKA “OBO Palace”(OBO is Omo Baba Olowo for rich man’s child) in an unknown locationHe had shared on his Snapchat that his Lekki phase 1 house is too well known – many upcoming artistes, people who want money, well-wishers and more usually stay outside his gate for hours until they’re attended to. We can only imagine that it has become a security risk. It’s a great feat that he would have two houses to his name in Lagos alone (he also has a lavish Atlanta “vacation house”) at only 23 years old! So, Davido surely wins this contest between richest Nigerian singers.